So today is National Artichoke Day. Seriously, who thinks of these random holidays lol? I don’t know about y’all but I looooove artichokes AAAAAND they’re so versatile. You can do artichoke as a main dish, artichoke dip, artichoke with pasta, artichoke in a tart or a quiche. I mean my goodness! The possibilities are endless. I started looking at recipes the other day to get inspiration for this post and got a bit overwhelmed but finally landed on the BEST idea. So excited!!!! Are you ready?! 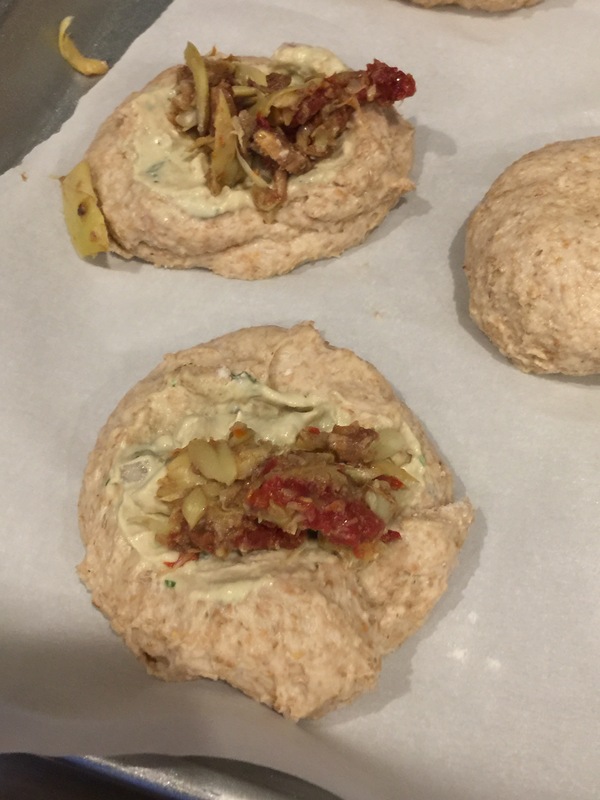 SAVORY ARTICHOKE STUFFED KOLACHES!!!! O-M-G y’all! These hot and buttery rolls are filled with artichokes, mushrooms, sundried tomatoes, herbs and a creamy garlic herb cashew sauce that is out of this world. There are so many fantastic flavors happening here I can’t even handle it. I just got chill bumps thinking about it. I found the best recipe for the rolls on eff yeah its vegan’s website. There are some great recipes in general on her page. Check it out! If you are trying to cut the carbs try mixing this with a spaghetti squash instead of wrapping it up in that toasty bread. Now for you non-vegan non-vegetarian eaters out there you could easily switch the sauce for a good melting cheese and even add in some grilled chicken to this recipe. Now I will go ahead and warn y’all that this is NOT a quick recipe. So please give yourself ample time, about 2 hours. That being said it is sooooooo worth the time. Seriously these things are aaaaaaaamazing. So let’s get cooking y’all!!!!! The rolls are going to be the thing that takes the most time because you have to wait a whole hour after mixing everything. So do keep that in mind. I suggest starting with the milk mixture so it can cool while you’re doing other things. 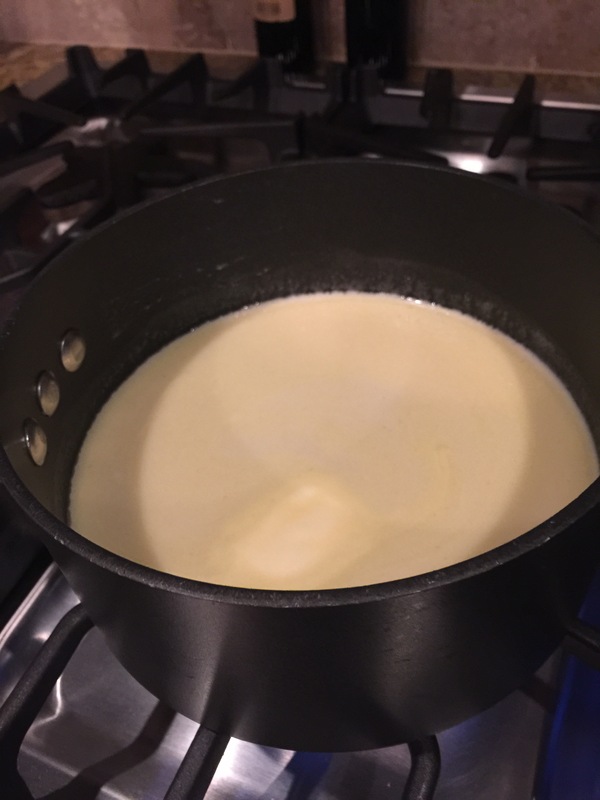 In a medium saucepan combine the almond milk, ½ cup of sugar, Earth Balance or coconut oil, and kosher salt. Heat on medium until the Earth Balance is melted and the sugar is dissolved. Remove from heat and cool to room temperature. Apryl says she usually sits the pot in a bowl of ice to cool more rapidly. About 10 minutes before you’re ready to start mixing the bread, combine the 1 table spoon sugar, yeast and warm (body temperature) water in a bowl. Whisk and allow to sit. This mixture should double in size in 10 minutes. Apryl says if it doesn’t foam and grow, do not proceed!! You either had your water too hot, too cold, or your yeast is inactive. Trouble shoot by trying again, or go buy more yeast. For the flour I really like to use a mixture of all purpose white flour and whole wheat flour. So I combined about 4 cups of wheat and 3 cups of white. Then in a large bowl with a hand mixer or in a stand mixer bowl, combine 3 cups of the flour and your milk mixture on low speed for 30 seconds. 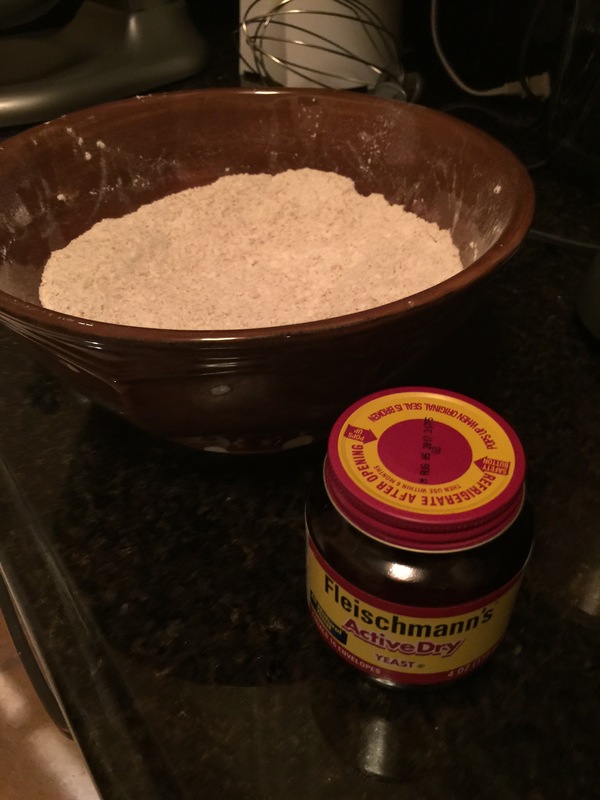 Add in yeast mixture and combine on medium speed for 3 minutes. Then, add in egg replacements for another 30 seconds. At this point, start adding flour 1 cup at a time until the dough is still sticky but forms a ball in the center of your bowl. Knead lightly in a bowl or use a dough hook. Cover the bowl and set in the warmest area of your home for about an hour. While you are waiting for the dough get your filling and sauce made. After an hour, turn out dough onto a floured surface and knead lightly. 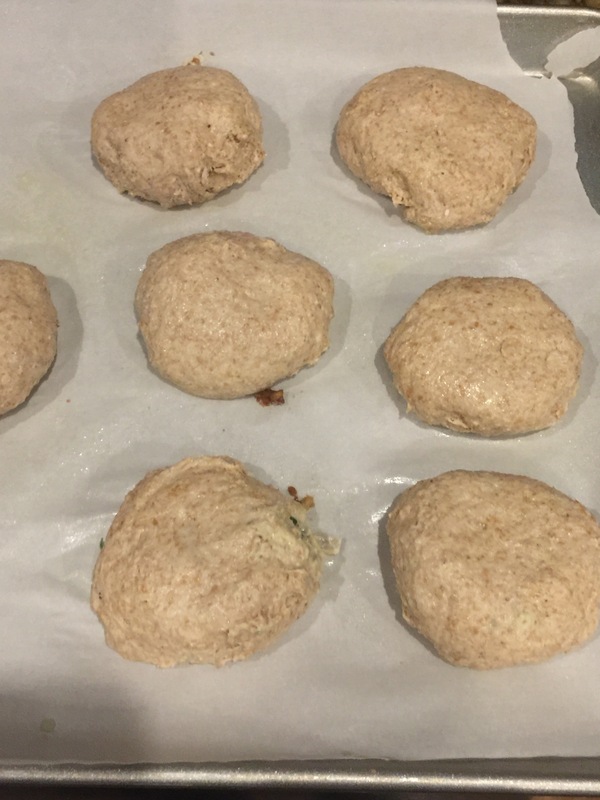 Divide the dough into 24 equal portions and roll into a round ball. With a rolling pin, lightly roll out each ball until it is almost thin. Drain cashews. Add all the ingredients into a food processor and blend until smooth and creamy. Once the dough balls are made you can spoon a small amount onto each ball. *Note: I know in my ingredients I said a measurement of chopped herbs. That is just to give you an idea of how much I put in. I actually bought fresh herbs and tossed a handful into the food processor because I’m lazy and don’t want to chop something that can be chopped for me lol. Toss ingredients into the food processor and pulse until coarsely chopped. Add equal portions onto your dough balls. Take four corners of the dough ball and pinch them together. Smooth out the crease and place the pinched end down on a baking sheet lined with parchment paper and sprayed with cooking spray. Leave about an inch of space in between each kolache. Bake at 375 for 16-18 minutes. And that’s it! Here’s a printable version of the recipe for y’all. A savory blend of artichoke hearts, mushrooms, and sun dried tomatoes in a creamy cashew sauce and wrapped in cocoon of butter bread. In a large bowl with a hand mixer or in a stand mixer bowl, combine 3 cups of flour and your milk mixture on low speed for 30 seconds. Add in yeast mixture and combine on medium speed for 3 minutes. Then, add in egg replacements for another 30 seconds. At this point, start adding flour 1 cup at a time until the dough is still sticky but forms a ball in the center of your bowl. Knead lightly in a bowl or use a dough hook. Cover the bowl and set in the warmest area of your home for about an hour. After an hour, turn out dough onto a floured surface and knead lightly. Divide the dough into 25 equal portions and roll into a round ball. With a rolling pin, lightly roll out each ball until it is almost thin. Drain cashews. Add all the ingredients into a food processor and blend until smooth and creamy. Once these tasty morsels are cooled enough that they won’t burn your tongue off devour those suckers! Weren’t they good?! Heck ya they were! I’d love to hear what your favorite version of these beauties is! Leave a comment below! 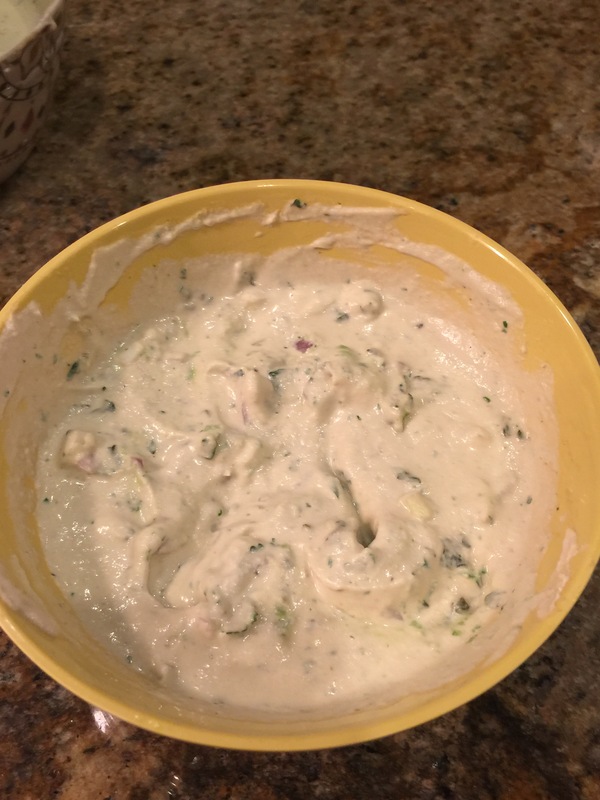 If you loved this recipe don’t forget to share it with your friends. For more great ideas on food, fun, and, travel make sure to follow me here at The Girl and The Coconut. You can also find me on Facebook, Twitter, Instagram, and Snapchat @girlndacoconut.